Tarte Sugar Rush Lip Sip Vegan Lip Oil is available in a full-size 0.1 oz size or you can snag a mini version like I did which is 0.05 oz. As you know Tarte has mini sizes of almost the entire Sugar Rush Collection available and priced at a very affordable 5 for $25. It’s a pretty nice way to give the brand a little test to see if you actually need to wade in and try the brand out. The lip oil is pretty brilliant. 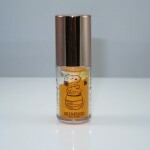 It’s a gel-like serum texture that has a glossy finish on lips. According to Tarte it has a raspberry sugar cookie flavor which instantly reminded me of my favorite cookie in the entire universe Knott’s Berry Farm Raspberry Shortbread. I don’t get the cookie aspect but the sweet jammy raspberry I do! It’s quite delicious tasting! But not a great pick if you’re a sensitive user. I liked the texture of this formula a lot. 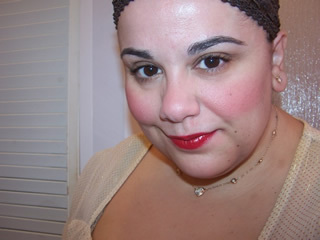 It applies evenly on my lips and hugs them in a very nice hydrating layer with a glossy, shiny look and finish. I got the shade Fresh Pressed so you aren’t getting any color with this particularly color but there other shades available which will likely give you a little hint of tint. I’m cool with the clear version but after I use this little mini up I’m going to check out the cherry shade as I do like a little bit of tint on my lips! This formula wears for about two hours but it does keep my lips feeling quite hydrating through the wear! It’s one of the nicer lip oils I’ve tried as many are more of a sheerer gloss formula and don’t provide a ton of moisture. This isn’t intensely hydrating by any means but it does sooth and soften my super dry lips. All in all, Tarte Sugar Rush Lip Sip Vegan Lip Oil is pretty darn nice! Tarte Sugar Rush Lip Sip Vegan Lip Oil is available now. Tarte Tarte Sugar Rush Lip Sip Vegan Lip Oil is a new raspberry cookie flavored lip oil available in three shade selections. I loved this formula! 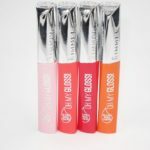 It has a gel-like serum texture that applies smooth and evenly on my drier lips. It has a glossy finish and wears for about two hours before reapplication is necessary. It feels quite hydrating through the wear and left my lips feeling soft and smooth after it wore away! More Lip Oil Trending Coming Atcha Today and Some Outlander Too! Very nicely hydrating plus softens and smooths lips well after wearing away! Flavor and fragrance might be an issue for sensitive users. Tarte Sugar Rush Lip Sip Vegan Lip Oil should be a nice pick up for those with drier lips or anyone wanting a comfortable shiny gloss that provides nice moisture! I got this French Pressed mini after seeing it in one of Kathleen Light’s vids. It’s really nice. I def want to try the color ones now. It’s quite a nice formula ;-D! This stuff is perm, right? Just got the watermelon slice palette for a l.g. who is turning 10. She likes seltzer water, so maybe she’s mature enough not to mess it up. That would be good for her, too. Ooo, I love Knott’s Berry Farm Raspberry Shortbread too! Maybe that’s why I got obsessed with this lip oil ;D I tried the mini lip oil, was also surprised about the taste and smell and how good it felt on my lips, so I bought every color during the F & F sale today. ugh those those cookies are dangerously good 😀 ME TOO! which shade? I got the cherry! LOVE U GIRL!! Thanks for all of the great info!